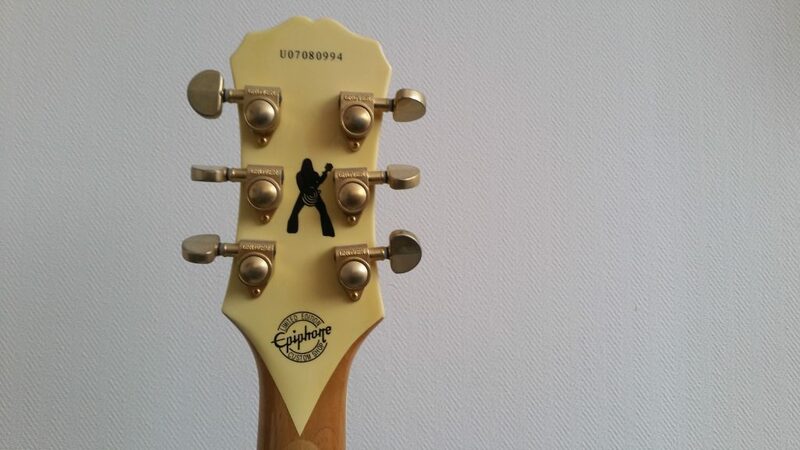 I found this guitar on a second hand site on the internet. Kind of dodgy, I couldn’t quite figure out whether this was a “real” Epiphone that hadn’t passed quality control (some minor details in the guitar’s finish weren’t quite up to par), or that this was a “genuine” made in China product. Despite the dodginess it played quite nicely, and the EMG’s seemed real enough, so I decided to take the chance. I got home, plugged it in, tuned to dropped D, and haven’t put it down since… Zakk Wylde, sure.. but also that buzz that you hear on Tool albums fit right in with the tube setup I’ve got running nowadays. It does weigh a ton, however, and I find the higher frets hard to reach, but other than that, me likes a lot!! Hello there, just stopped by doing some research for my Epiphone Guitars site. Truly more information than you can imagine on the web. Not quite what i was looking for, but interesting page. Take care.